Originally named VvS1, AKIKO is a 34m (112ft) expedition-style motoryacht built for a New Zealand businessman whose vision was an exceptional vessel capable of exploring isolated Islands of the South Pacific. 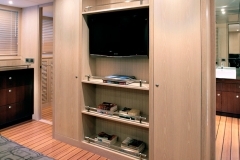 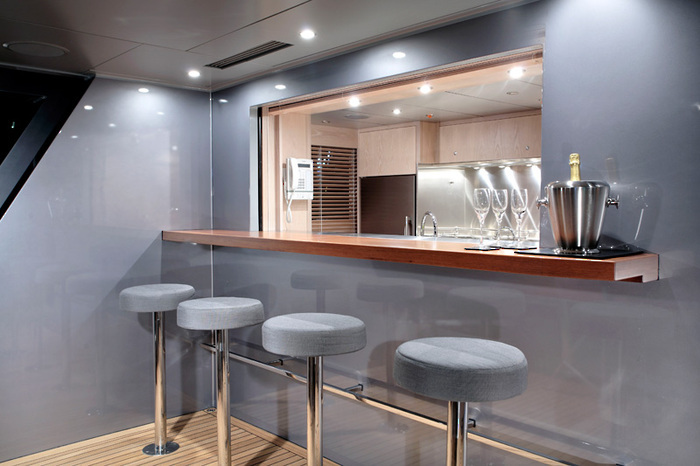 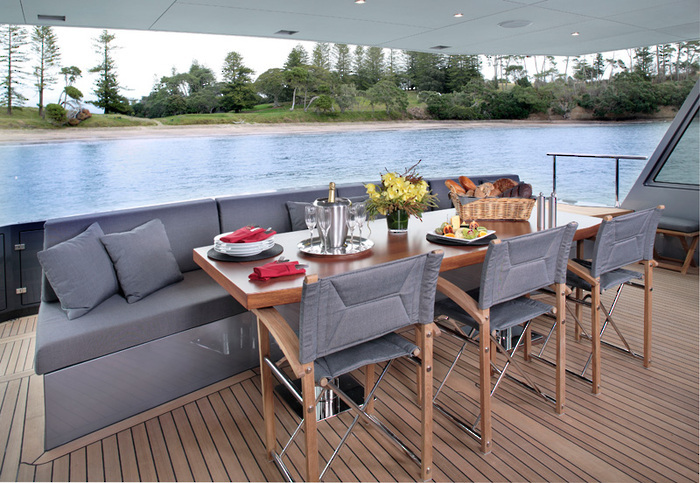 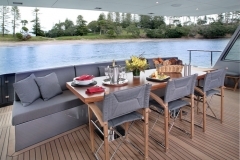 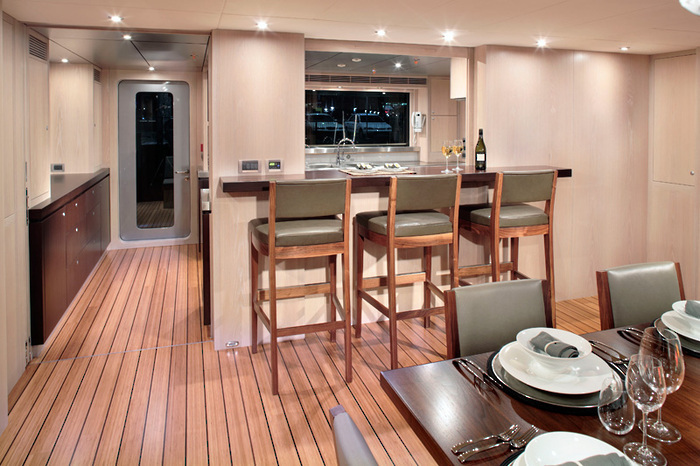 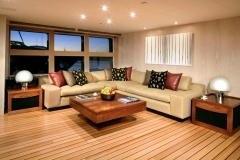 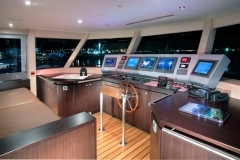 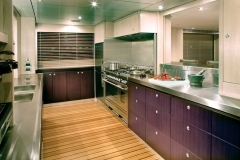 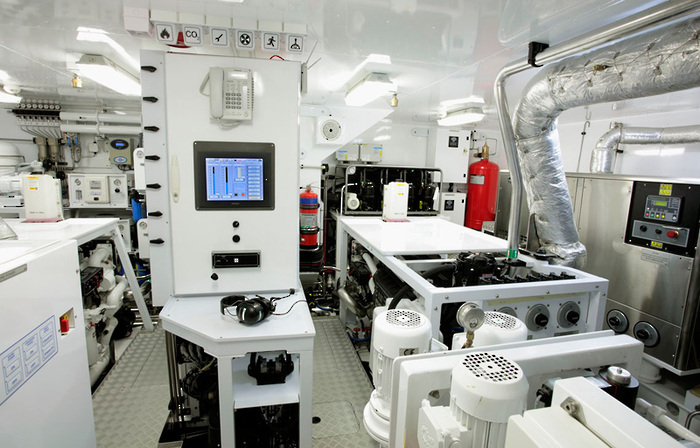 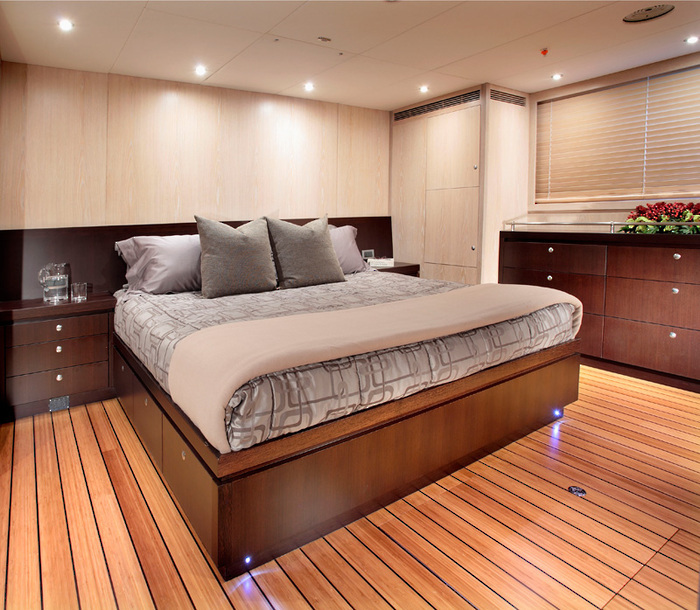 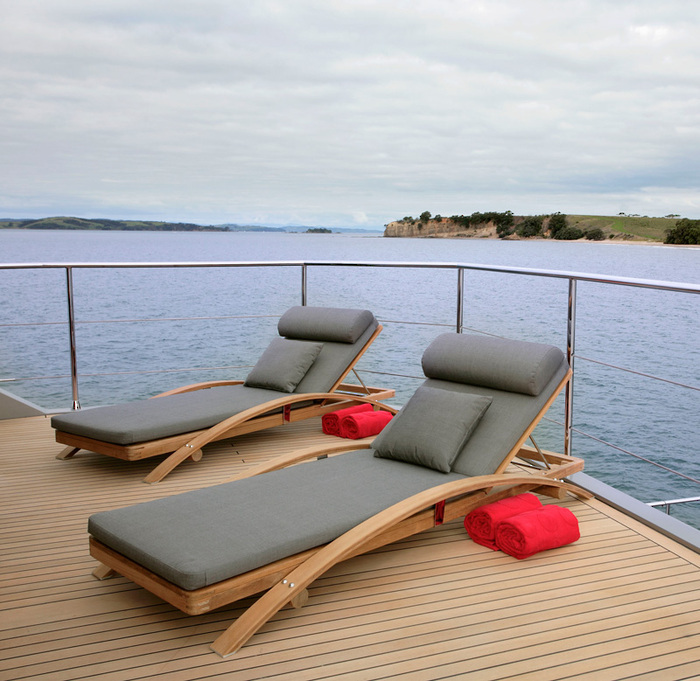 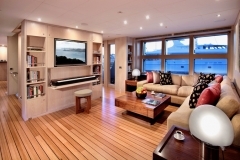 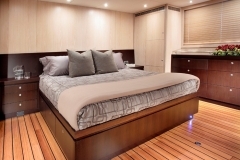 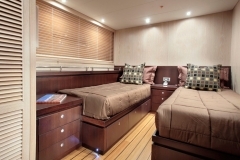 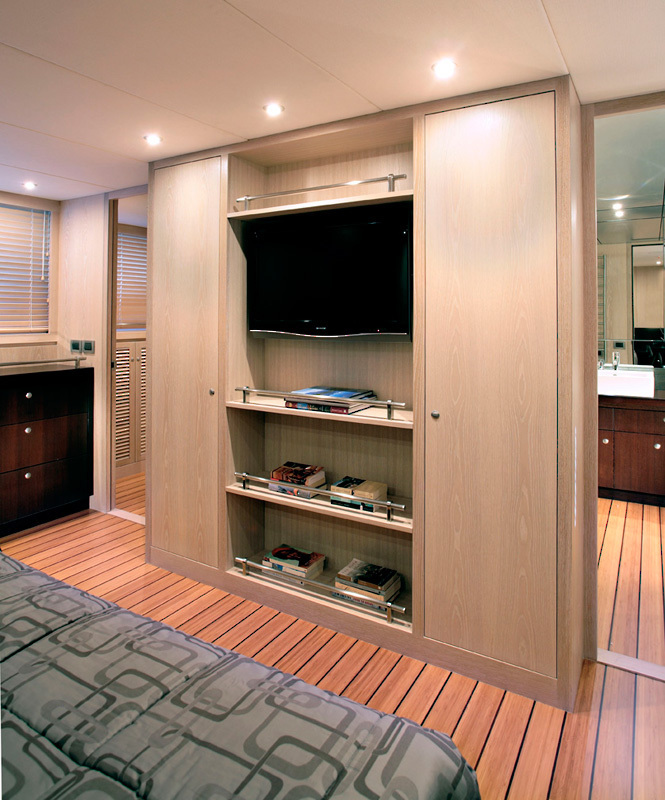 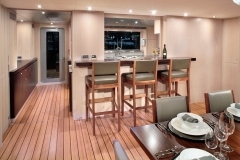 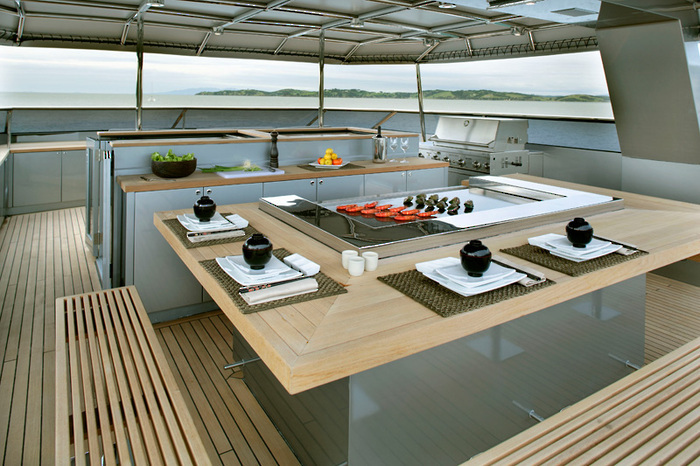 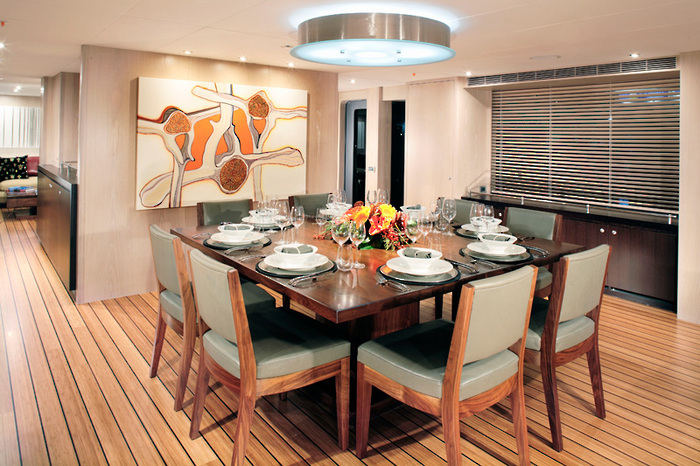 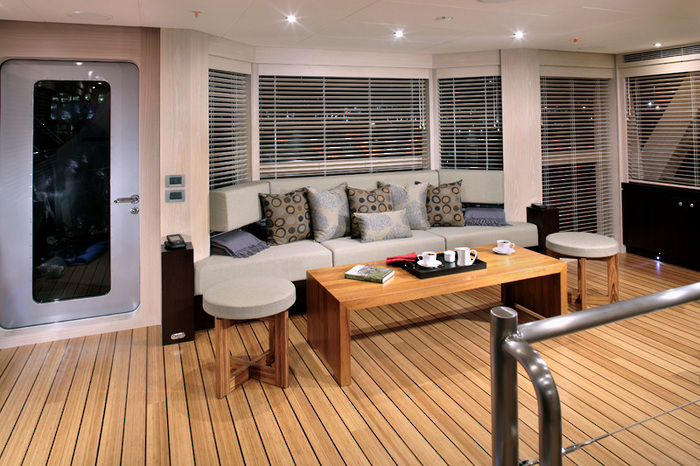 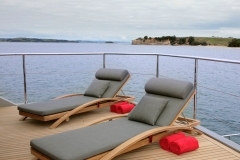 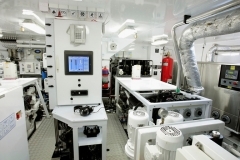 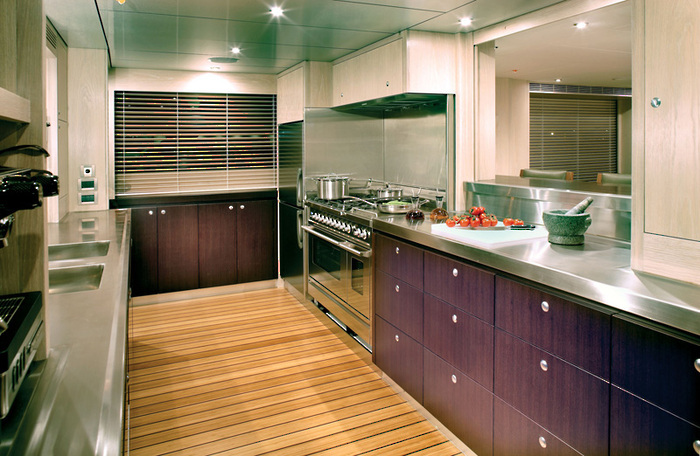 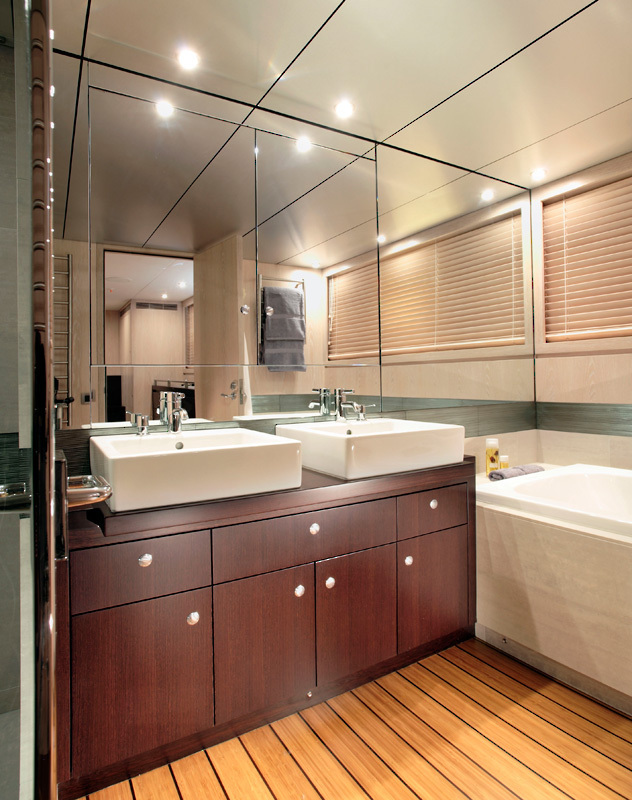 The vessel has three levels plus a top deck with bimini. 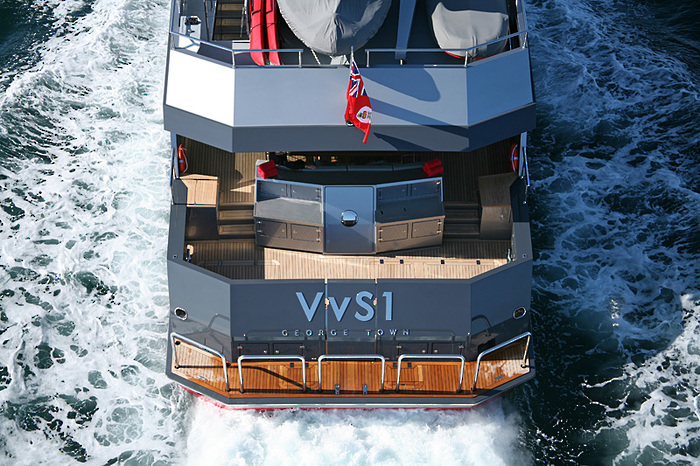 Designed by Gregory C. Marshall Naval Architects, VvS1 is built in aluminium and complies with the Lloyds Register SSC Rules and the Large Yacht Code. 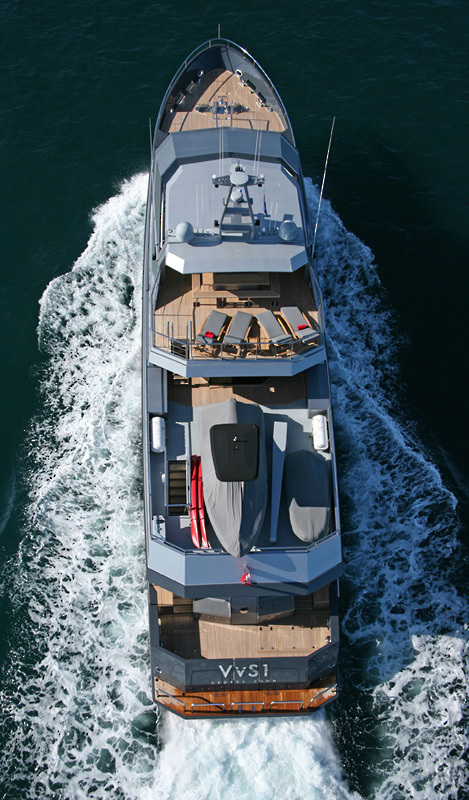 EXTERIOR The hull is finished in shark grey with the superstructure in complementary shades of metallic silver and charcoal. 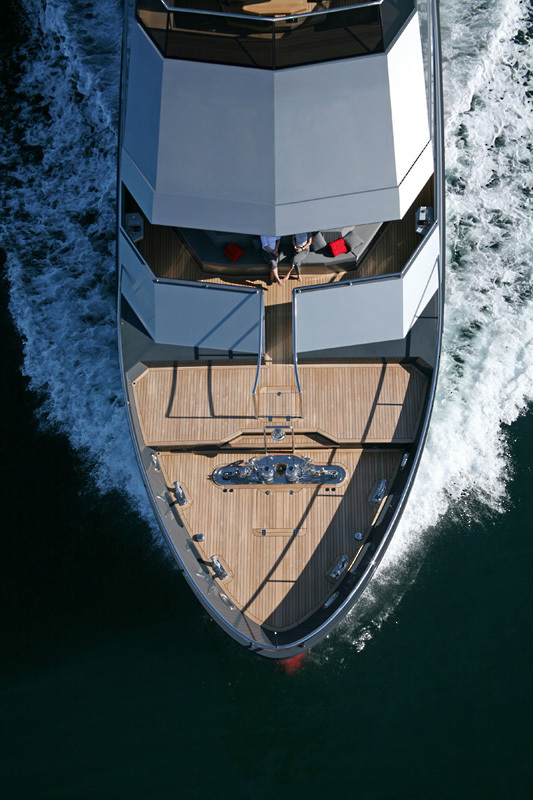 The exterior lines reflect the businesslike character of the motoryacht, with a high bow profile and a large aft working deck for carrying tenders. The detailing is modern, with large windows set in the hull and the superstructure. 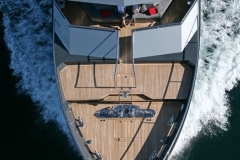 The anchors retract to a semiconcealed position within pockets set into the bow, with a wraparound polished stainless steel plate providing hull protection and a handsome detail. 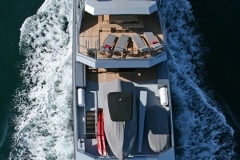 The underwater shape includes a bulbous bow extension for improved seakeeping and efficiency. 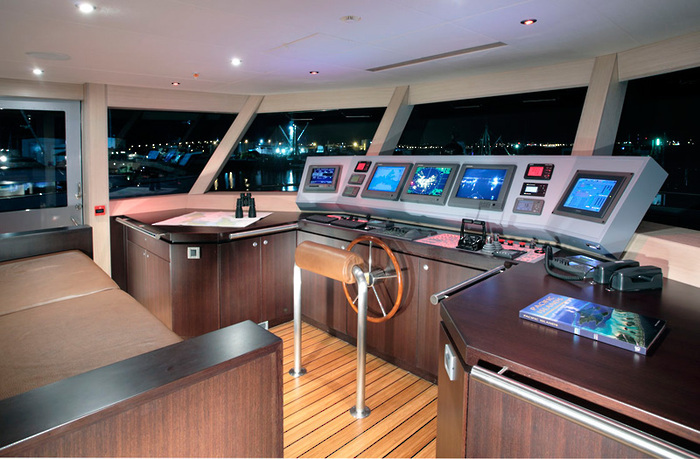 Refitted in 2016 with new generators, at rest stabilizers and the owners stateroom relocated to the bridge deck she now resides in Perth.